Since 1977, our customers have started their day with the legendary morning bun from La Farine French Bakery. 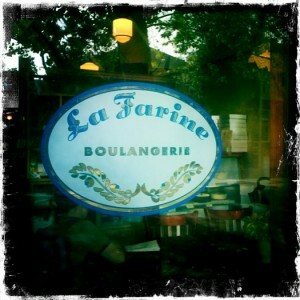 Located in three vibrant Oakland neighborhoods, La Farine offers the finest in French pastries, delicious fruit and nut tartes, classic cakes, cookies, and rustic breads. So, whether you’re out for your morning coffee and croissant, or after the classic compliment to your evening meal, stop by La Farine, relax at one of our family tables, and bask in the ambiance and aromas of the Bay Area’s classic French Bakery.